A Brooklyn fed judge is none too happy with the Justice Department and Atty. Gen. Eric Holder Jr. in a case involving the murder of two New York police detectives, the NY Daily News reported. U.S. District Judge Nicholas Garaufis “bristled” on Tuesday when expressing his displeasure that the Justice Department failed to appeal to the Supreme Court a ruling by the Court of Appeals that tossed out the death penalty conviction phase for the convicted cop killer because of prosecutorial error, the Daily News reported. The murder conviction still stands, but the U.S. Attorney’s Office wants to retry the penalty phase to go after the death penalty again for convicted cop killer Ronell Wilson , the Daily News reported. The judge, bothered that the prosecutors simply didn’t appeal the ruling to the Supreme Court, said he would not let the retrial for the penalty phase go forward until he got a letter from Atty. Gen. Eric Holder Jr. pledging the department’s intent to seek the death penalty, the Daily News reported. The Daily News reported that the demand for the letter was the judge’s way of taking a shot at Holder “in view of the fact that the attorney general failed to exhaust all appeals and abandoned the appeal of the case.” The judge expressed concern about the emotional effects a second trial would have on the victims’ families. The U.S. Attorney’s Office has repeatedly said in the past that it is committed to retrying the death penalty phase of the case, the Daily News reported. The attorney general must sign off when prosecutors seek the death penalty. 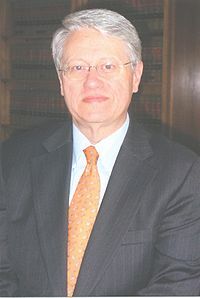 The case was first prosecuted when Roberto Gonzales was the attorney general. Robert Nardoza, a spokesman for the U.S. Attorney’s Office in Brooklyn, declined comment Wednesday morning. The Justice Department in Washington also declined comment. Posted: 4/6/11 at 10:42 AM under News Story.